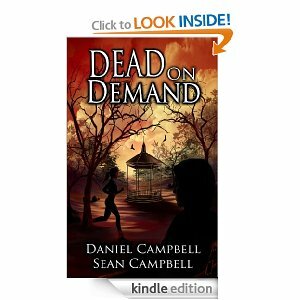 FREE to download TODAY is Dead on Demand by Daniel Campbell and Sean Campbell (Click here for UK Download). Why not download it before it goes back to full price? He had the perfect life. Now he'll kill to get it back. A career man, Edwin Murphy has always put more effort into his work than his family. Everything changes for Edwin when his wife files for divorce. On the brink of losing his home, his job and his little girl, Edwin orchestrates an intricate plan to eliminate his wife and regain his former lifestyle. The police are baffled when bodies begin to appear all over London with no apparent connection between them. Inspector David Morton must think outside the box as he investigates the deadly web of deceit behind the murders. FU: There are so many different genres to choose from, what inspired you to write intrigue fiction revolving around social issues? LV: When I decided to write books my goal was to tell entertaining stories while writing about socially relevant subjects, so hopefully the reader would get into the book and at the end wonder if that was really happening. I think the thriller genre works best for what I'm trying to accomplish and is the most fun to write. 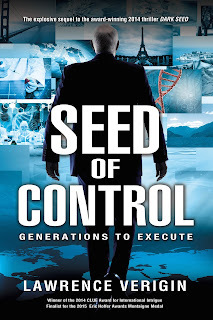 FU: What prompted you to write about genetically engineered seeds? LV: It was my father who first told me about genetically engineered food and the crazy things that they doing, around 2000. He said, "can you believe that they're putting fish genes into tomato's?" I did some research and found that there were negative things that were happening that weren't being reported on in the media and that GMO's weren't turning out to be what they were advertised to be. 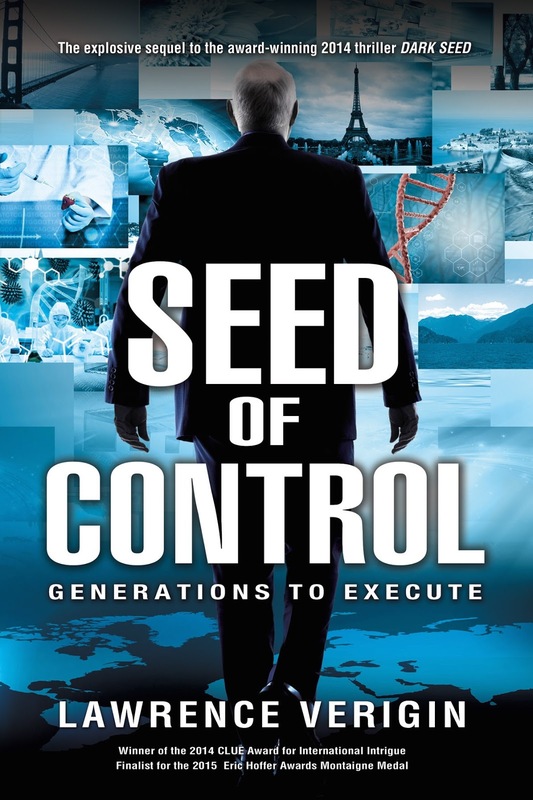 Also, the companies doing the genetic engineering were perfect villain's, because they were notorious for developing products that were harmful to people and the environment. 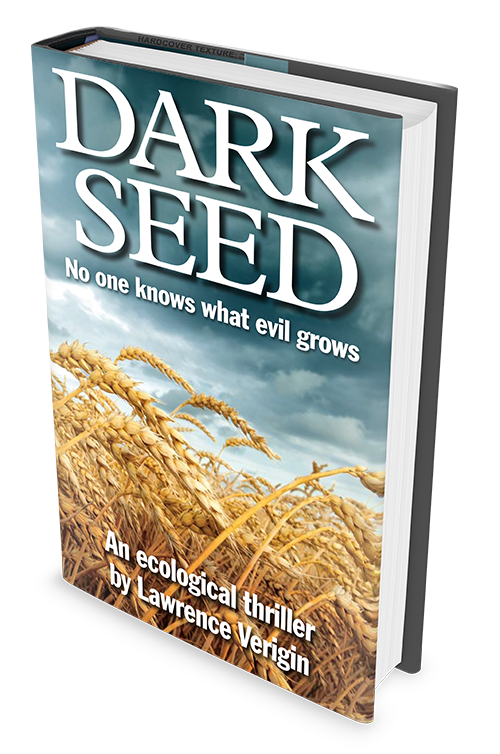 The manuscript I was writing at the time was going no where, so I scraped it and wrote Dark Seed. FU: What other social issues do you think you might tackle with your fiction? LV: So far I would like to write books that tackle fracking, the division of wealth (the 1%) and government lobbyists. There will be more ideas as time goes on. FU: You've received some impressive accolades for your debut novel. 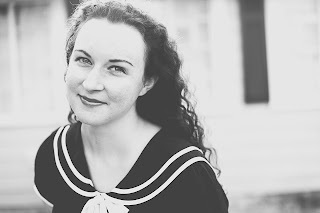 What words of advice to you have for fledgling novelists? 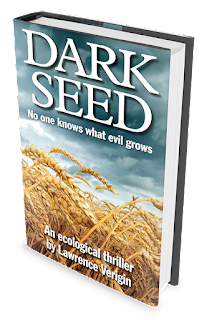 LV: Yes, people seem to really like Dark Seed. My advice for a new novelist is to never give up, learn everything you can about the craft of writing and just finish the first draft. It took 13 years from when I started Dark Seed to when it was published, because I had to learn the craft. Now it's easier and I'll keep writing books for the rest of my life. FU: They say that every character has some of the author in him/her. Which of your characters is most like you? In what way? FU: So what is on the horizon? What are your new projects? After the second of the series comes out on 1 Nov, when will be your next new release? FU: Thanks for taking the time to chat with us. The folks at Flurries Unlimited (FU) were lucky enough to catch up with horror author and miniaturist C.A. Verstraete (CAV) for a one on one chat. Here's what we discussed. 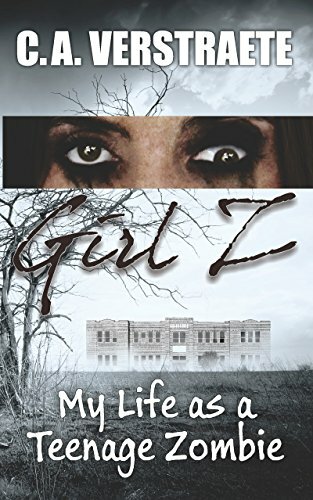 FU: There are so many different genres to choose from, what inspired you to write about zombies? CAV: I’ve always enjoyed a good scare, and what’s scarier than zombies? I started watching The Walking Dead like everyone else and I admit I got hooked! FU: And how do miniatures fit in with that? CAV: See above answer. Actually there are quite a few spooky or horror books and short stories that have involved dollhouses and dolls. Maybe I’ll write a haunted dollhouse story some day. You never know. FU: You've written so many books. Which is your favourite and why? CAV: Not that many. I have contributed short stories to quite a few anthologies, though. 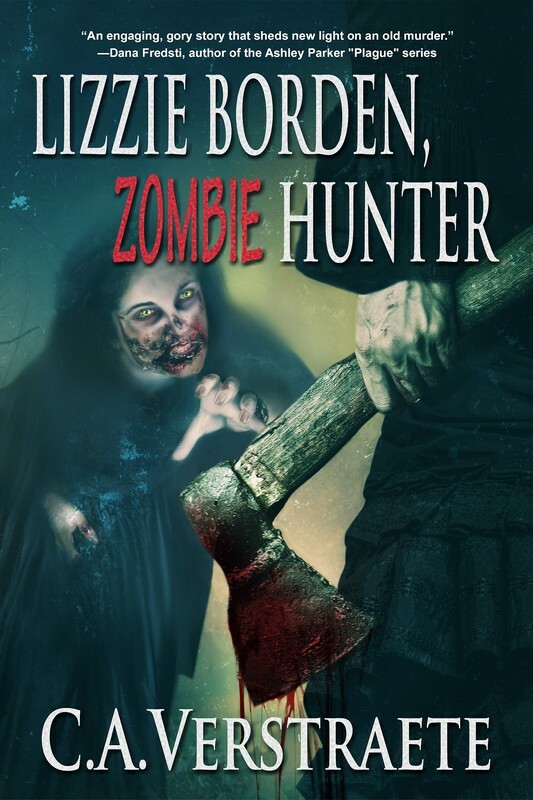 I like writing those as I get to explore different ideas, but I have to admit writing about Lizzie Borden has to be my favorite. It was a challenge, but fun, to work the story around her real life and add in some strange background events. FU: So, what is on the horizon? What are your new projects? When is your next new release? 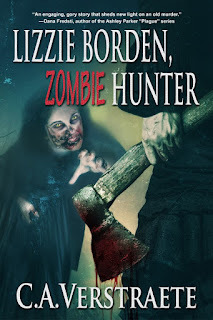 CAV: Getting Lizzie Borden, Zombie Hunter out has been my top priority for over a year now, so it’s almost hard to think beyond her! Actually, I like her enough that I started writing some short mystery stories with her. I’m also outlining the next book. There are quite a few issues I can address in the next book and I’m not quite ready to let go of Lizzie yet. FU: Thank you so much for chatting with us. 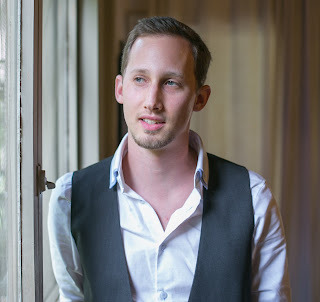 Flurries Unlimited (FU) caught up with author and financial advisor, Beau Henderson (BH) for a one on one chat about his work, writing and upcoming projects. Here's what we discussed. FU: How did you get into financial advising? BH: I was planning to be a psychologist after graduating from the University of Georgia. My father passed away before I started graduate studies and I spent a year immersing myself in financial matters to help my mother navigate dealing with the loss, my dad's small business and the family finances. 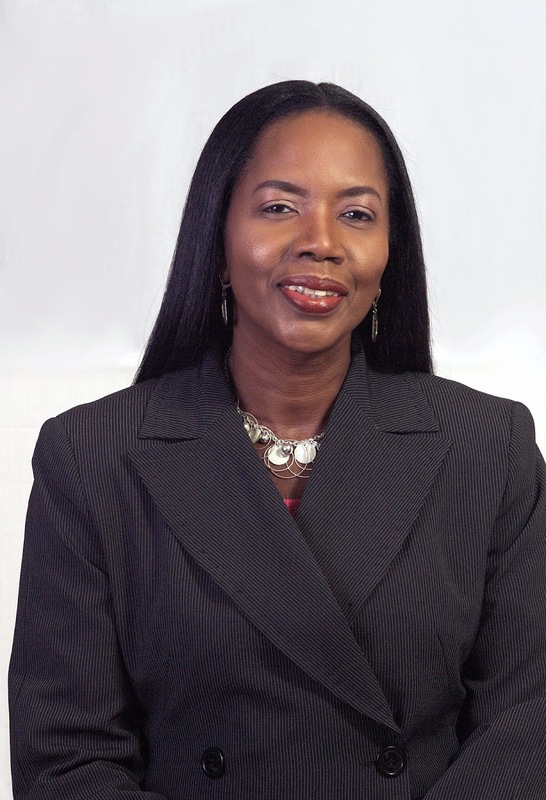 This experience created a new passion for helping others through financial planning. FU: And the self-help industry? BH: I've always been a big believer in personal development and coaching has always been a role I've integrated into the financial advisor/client relationship. The books and The RichLife Show on radio have been platforms to help me share the RichLife philosophy of building both a life and financial plan that are congruent with one's definition of a meaningful and fulfilling life. FU: What inspired your unique philosophy on financial advising? BH: By dealing with over 3,000 clients I learned that the lie of chasing performance on investments that is marketed to the masses is not the key to financial and life success. Rather, certainty for success comes from two places: 1. Strategy- Building the right strategy specific to your unique goals, vulnerabilities, and personality. 2. Behavior- Exhibiting the proper investment behavior over time (Doing the things you should do and avoiding the things your shouldn't do). 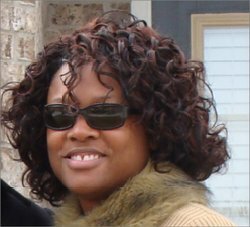 BH: The holistic and life planning approach resonates with the clients that I love to serve. 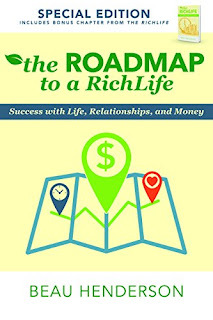 The RichLife brand has grown from an idea I shared with clients 8 years ago to a radio show, 5 books, coaching, training, a team of RichLife Advisors and coaches and more. I focus on what I believe in at my core and share information that adds value to the people who connect to my mission, message, and philosophy on success with both money and life. FU: You've written so many books. Which is your favorite and why? 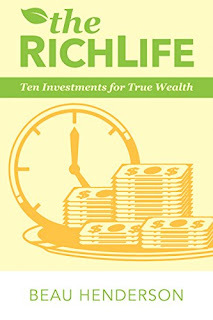 BH: The RichLife - Ten Investments for True Wealth will always hold a special place in my heart. It is the core foundation that the RichLife brand and message has been built on. The pursuit of lifelong growth while living a healthy, wealthy, fulfilled life on purpose on the journey. Plus, it was my first full-length book that took this idea I'd been sharing for awhile and made it tangible in a way that I could share and spread the idea of living your unique definition of a rich and meaningful life. FU: So what is on the horizon? What are your new projects? When is your next new release? BH: Wow, so much! The Roadmap to a RichLife officially launches 8/23/2016. Behind that I'm launching a new radio show in Atlanta, GA and will be releasing the next book 13 Steps to Retirement Success January 2017. I'm probably most excited about writing a financial literacy course to release Spring 2017 for middle and high school students with the goal of distributing that course to one million students throughout the United States. I believe that if young people have access to this information on basic financial literacy that they will be able to more successfully navigate many of the pitfalls most of us have faced along the way in life school. 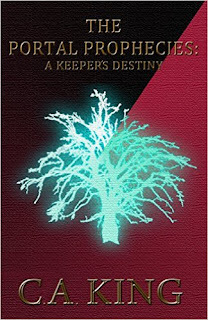 Flurries Unlimited (FU) had the great opportunity to sit down for a chat with fantasy and science fiction author Michael La Ronn (MLR) about his writing, his life and his philosophy of being. Here's what we talked about. FU: There are so many different genres to choose from, what inspired you to write science fiction and fantasy novels? MLR: I have a big imagination and I love to tell stories. Science fiction and fantasy let me explore my imagination. When you read good SFF, you always walk away with a different perspective of the world, even though you've just been reading fiction. FU: And how did the non-fiction books come about? MLR: The nonfiction books are more for me, honestly. 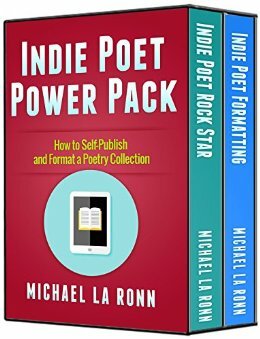 It's me documenting my growth as an author, and passing along what I've learned to help people who have started after me. They're fun to write and nice buffers between novels. FU: Your Amazon bio mentions a life-threatening illness that changed your life. Can you give us a little bit more insight into that? How are you different now as compared to before? MLR: I was ill with a stomach virus and while I was in the hospital, I caught another infection. What should have been a 2-3 hour hospital visit turned into a month-long visit where the doctors didn't diagnose the infection until it was almost too late. On that hospital bed, I realized that I had done nothing with my life. Sure, I had gone to college, gotten a good job, was ready to be engaged---but something was missing. Art was missing. I swore right then and there on that hospital bed that I would become a world-class storyteller and nothing would stop me. Most people who know me very well will tell you that I'm fearless. I'm willing to write the stories I believe in, even if they're a little off-kilter, and I'm willing to fail HARD and embarrass myself in public, and I have no problem with it because I also know how to balance that with good business sense and marketing. Life is short. When I'm gone, I'd rather leave it all in my books than have regret about what I didn't write. I definitely didn't have that attitude before I got sick. FU: You've written a lot of books. Which is your favourite and why? MLR: Such a tough question! I love all of my books. Each one has a different spot in my heart. But Festival of Shadows will probably always be my favorite. 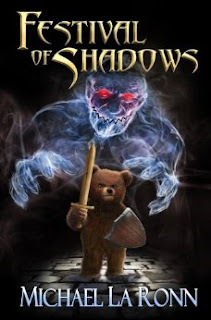 It's about a headstrong teddy bear facing all odds to rescue his owner from the boogie man. Life throws everything at him--sadness, despair, evil villains---but he perseveres and never gives up. But at the same time his heart opens up in ways he never imagined, and he learns what it really means to be brave. That's my own personal, story, too. 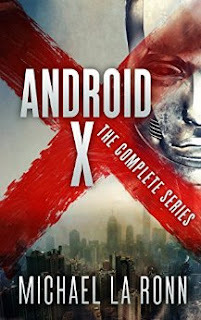 MLR: X from Android Paradox is most like me. Aside from the fact that he's a seven-foot tall, African-American android who has no problem cracking skulls, he's quiet, introspective and always taking in the world around him. He's always asking questions, always trying to get to the heart of who he truly is, that's how I am, too. If only I had his muscles and strength! 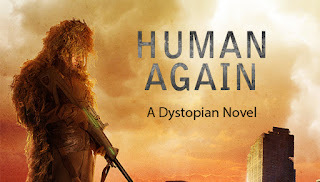 MLR: More science fiction & fantasy is always on my horizon. 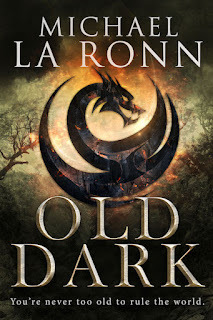 I'll be publishing Book 2 in The Last Dragon Lord series by the end of the year, as well as a new series about necromancers that I am super excited about. FU: Thank you for chatting with us. 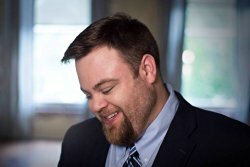 TMLR: hank you very much for the interview. I appreciate the opportunity! FU: There are so many different genres to choose from, what inspired you to write in at least three different ones? KR: As an author, I like trying my hand at different kinds of voices and stories, and as a reader, I've always loved multiple genres, so it seems natural to experiment. 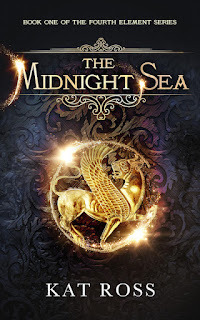 While I'm a great fan of pure fantasy, cozy mysteries, alien invasions, etc., genre mash-ups are my favorite right now. Books that may not be easy to classify (Andrew Smith's Grasshopper Jungle, for example, or David Wong's John Dies at the End), but that are so well-written and have such memorable characters, it really doesn't matter. Both of those books had me utterly horrified and laughing out loud on the same page. That's where my current Fourth Element series is headed. Gaslamp mystery with elements of fantasy, sci-fi and romance—all the best bits! FU: Which of your books is your favourite? Why? KR: Oh, hard question. The two that are out right now are very different. 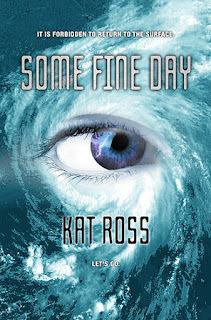 My first (Some Fine Day) is pretty straight dystopian, while The Midnight Sea is epic fantasy with an historical twist. 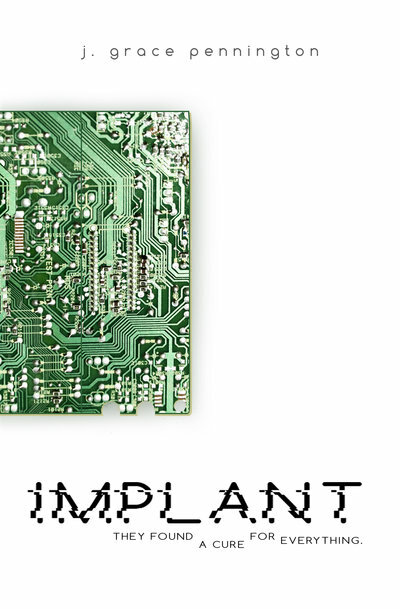 In time, they're set a couple thousand years apart: 2090 versus 330 B.C. 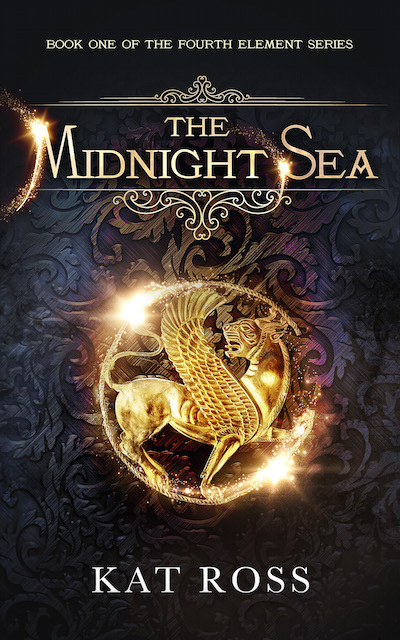 Half the action in Some Fine Day takes place deep underground in a world that's flooded from extreme climate change, while The Midnight Sea is set in an alt Persian Empire at the time of Alexander's invasion. I did a massive amount of research for both stories, which fortunately is something I enjoy. And they both have strong female leads I wouldn't want to get into a bar fight with. That said, my favorite is probably the one that's coming out in October. 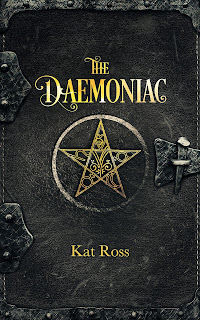 It's called The Daemoniac and I'm thinking of it as Sherlock Holmes meets The X-Files in Gilded Age New York, circa 1888. 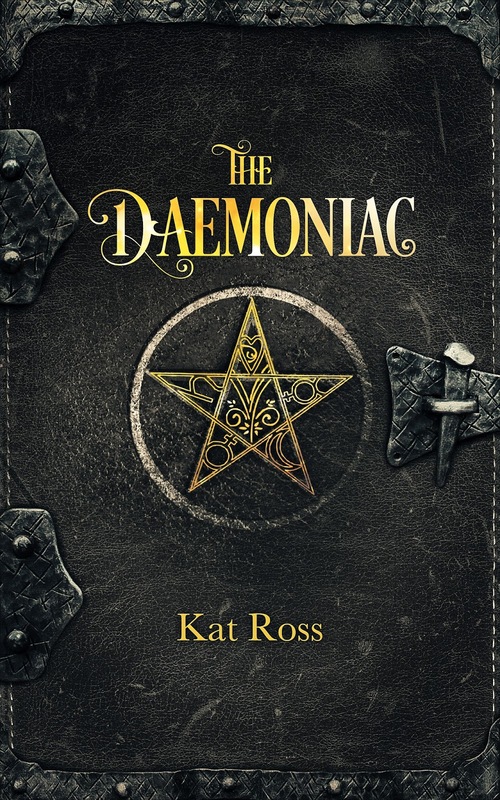 The voice is a bit more sophisticated than my other books, and I loved going deep into the Victorian rabbit hole of quackery and spiritualism and bizarre party attire. I'm a huge fan of Caleb Carr's The Alienist, and it definitely inspired me while I was drafting this book. FU: You have two books slated to be released this Autumn less than a month apart. How do you manage such a tight schedule? FU: You have a very diverse work background. How have your bike messenger, coat-check girl and UN experiences influenced your writing? KR: The short answer is everything we do in our lives has some usefulness in our writing. But I doubt I would have written Some Fine Day if I hadn't been following the climate debate as a journalist and editor since the mid-2000s. I sat there watching the predictions of very smart scientists get worse and worse, and actually start coming to pass. I'd already decided to write a YA thriller, and there was so much terrifying stuff in scientific journals that I didn't have to look very far for a white-knuckle plot. Climate change is different from most other challenges humanity is facing in the sense that it affects every corner of the globe and it's basically irreversible. A lot of that carbon will stay up there for thousands of years. And I couldn't help wondering, what if the worst case scenarios come true? I'm just naturally optimistic like that. KR: Honestly, both my protagonists are way, way out of my league. They're basically James Bond to my Johnny English. Likewise the villains. I only wish I could be that magnificently evil. So yeah, I'd be one of the extras. The middle-aged waitress who asks, "How d'ya like your eggs, sweetheart?" FU: So what else is on the horizon for you? KR: I'll be wrapping up the Fourth Element trilogy this December with Queen of Chaos. No spoilers, but the end does leave the door open to the next series, which I'm calling Dominion Mysteries, after the sort of purgatory where the Undead and other nasty creatures come from. The books will be standalones, with magic, murder, demonic entities, tea, consulting detectives, rare books, grave-robbing, cavernous English country homes and other gothic delights. I also still want to write the sequel to Some Fine Day, and I've promised fans of that book that I'll get around to it next year. So when I'm sick and tired of living in the 1880s, I'll just zip forward a couple hundred years. Writing in multiple genres can feel a bit like time travel, in the best way. FU: There are so many different genres to choose from, what inspired you to write science fiction? JGP: My dad has always been a huge fan of science fiction, from Star Trek to Stargate to The Terminator, so he enjoyed sharing those things with me as I grew up and I found I loved the speculative element, the possibilities to explore ideas to such an extreme conclusion, and all the endless potential for creativity. I love coming up with ideas that aren't completely constrained by reality, but aren't fantasy either. I especially love being able to take my characters and my themes and stretch them as far as they could go, in situations that could not arise in the world we know--or could they? FU: And how did your western come about? JGP: I've always loved westerns and was an avid Roy Rogers aficionado as a teen, so when I came up with the plot of Never it seemed like a good fit to put it in that dusty, gritty, Old-West atmosphere. I love the black-and-white nature of westerns, the clear good guy versus bad guy clash, and I thought that would be a good fit for the mystery story I had in mind. FU: According to your bio, your faith is very important to you. How has this influenced your writing? 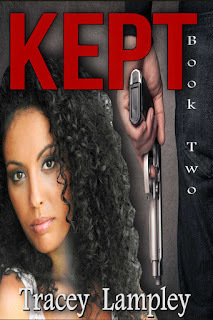 JGP: As a Christian, I want all my books to have a purpose. Sometimes, like for my young adult series, that means they have explicit Christian values and religious characters. Sometimes, like for my western, it means having more subtle references to the characters' faith, and sometimes, like in Implant, it means the characters aren't religious at all, but the book itself promotes what I believe are important values like courage and selflessness. Sometimes it even means writing something that doesn't have a strong message but can bless others by making them laugh. It all depends on the individual story. FU: Sometimes religious people are harassed for their beliefs, particularly when they are a public figure or outspoken about them. What has been your experience? JGP: I haven't had any horrible experiences, though I have had some reviews, specifically on my western, that call it "a sermon in disguise" or say that it would make a great movie if not for the faith elements. I have lost a few friends by being outspoken about my principles, as well. But for the most part I try to be clear upfront that some of my books are overtly Christian, so that people who don't want that won't pick them up to read. On the other hand, I've gotten flack from Christians who say some of my books aren't Christian enough. So I guess you just can't please everyone! FU: You've written quite a few books. Which is your favourite and why? JGP: Such a tough question! I love my series, because I've grown to love all the characters so much and I'm excited to follow them through many more adventures, but I think as a standalone book Implant is my favorite. Again, I love the characters and their relationships. Particularly a rough, grouchy, mysterious man called "Doc." JGP: Andi Lloyd, the protagonist of my Firmament series, is definitely the most like me. She is affectionate and deeply loyal, a bit easily frustrated, and definitely emotional. She loves those around her passionately, and is as opinionated as I am. However, she's a lot more confident than I am. 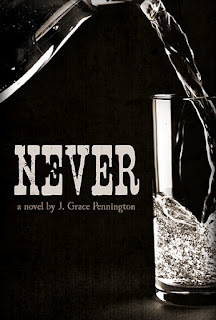 JGP: I'm working on getting my next book out now! It's the fourth book in my Firmament series, and it's called Reversal Zone. I've been looking forward to this one for years, and I can't wait to see what my readers think! It's off being edited, so I'm hoping to have it published sometime next month. We'll see! FU: Thank you so much for taking the time to chat with us. 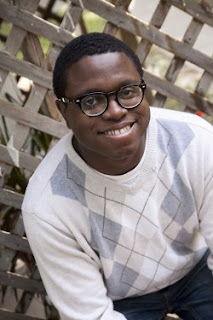 JGP: Thank you for having me on the site! 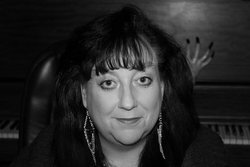 Flurries Unlimited (FU) had the awesome chance to visit with prolific author and medium/tarot card reader, K. R. Richards (KR). We didn't have our fortune told but her are the interesting things we discussed. FU: With all the different genres to choose from, what made you decide to write paranormal romance? 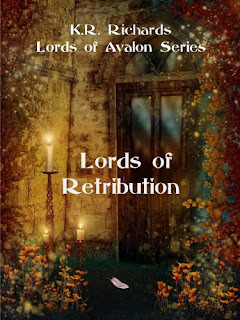 KRR: While I was working on the last books of the historical, Lords of Avalon series, I got the itch to try something different. Although I did include some paranormal elements in the LOA series, I thought it might be fun to do that in a contemporary setting. I read many genres, and enjoy them all. A decade ago I had started planning out a series that revolved around women working in a metaphysical shop. So I just took some of those ideas and created the Decker Brothers Series. FU: How has being a medium influenced your writing? 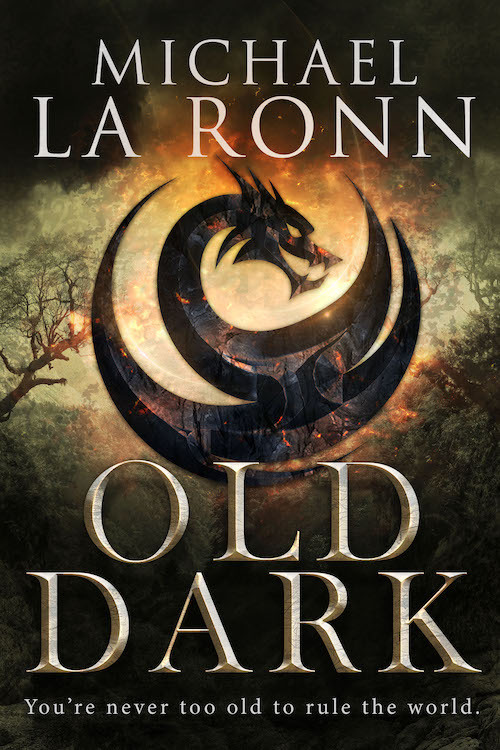 KRR: I think it has enhanced my awareness of human emotions, and it also keeps me focused on creating a functional romantic relationship within the story. 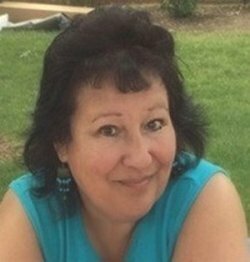 As a medium, and Tarot reader, I worked in the public doing readings for people at Metaphysical Shops, Psychic Fairs, and Spiritualist Church events. People come to get a reading for many reasons, some just out of curiosity, some just to get their "fortune told." But it isn't fortune telling, it's a picture of your life at the time, the obstacles you currently face, and the mediumship can bring messages from the other side. I'll be the first to admit that quite a few people do come to a Psychic when their love life isn't going well, and not everyone can see clearly when they are in the midst of a bad relationship. FU: What's the most memorable experience you've had as either a medium or tarot reader? was in my late thirties, early forties during that time. We had a lot of young employees. I kept positive thought cards, affirmations, etc. at my desk. Many of them stopped to talk throughout the day and would tell me about their problems. One young man was having problems with his boyfriend, and eventually they broke up. He was distraught, estranged from his family at the time, and we talked often during his break up. I gave him a reading and also gave him a list of positive affirmations. By this point, he had no self-confidence, low self-esteem and couldn't conceive how he could go through life without the person he loved. The last time I saw him, he was really upset. So I spoke to his manager to let him know what was going on. He didn't show up for work the next day. Two weeks went by and he was still a no show. We called his number and could never reach him. His manager did not terminate him. When the young man returned two weeks later, it was to tell us that he had wanted to die when he left that night. He slit his wrists. While he was laying there bleeding, he pulled the affirmations I had given him out of his backpack. As he read through them and remembered what we had talked about - he decided he wanted to live. He called his parents. They called 911. After leaving the hospital, he went home to his family, who welcomed him. There were so many other experiences that I remember, helping a woman find the courage and confidence to leave an abusive relationship, giving a loving message to a grieving widow, and helping young women to see they must love themselves. FU: You've written so many books and now two series. Which is your favourite and why? KRR: I can't say that I have a favorite. I have enjoyed writing them all, and struggled with each one at times too. I would say I was most proud of Lords of Atonement, because it was the last of the Lords of Avalon series and I didn't want it to be boring or disappointing, nor did I want the readers to be let down because they had already figured out the identity of the main antagonist. It was difficult and took a lot of thought and planning, but I feel like I gave them some surprises and accomplished that. KRR: I can't really think of one character. I can say some of them have my strengths, and some of them have my weaknesses. Two examples come to mind, first would be Libby from Lords of Honor. She had a large scar on her face and it was difficult for her to accept after she was injured. People stared at her. I was born with a large birthmark on my lower leg. Kids always made fun of it when I was growing up, and I was very self-conscious of it. I even came to hate it in high school. I think Libby's feelings definitely came from that experience. Senny, in Lords of Retribution was "different". In all truth, she wasn't like me , per se, but she came from the experience with my youngest son, who is severely autistic, he has never spoken. So Senny's feelings definitely came from my experience raising my son. The way he was treated, the way his brother felt when people made fun of him, etc. I can remember praying in those early days that my son would start speaking and be able to live a normal life. I read about and investigated everything about autism, trying to find "the way, the thing" that would be the break through for him. There came the time when I had to accept that he would be like he was. So I think Senny came from the memories of those dreams I had to let go of for my son. A man fell in love with Senny, she got married, she gained confidence and though she still struggled, and didn't always fit in, she had a normal, happy life. 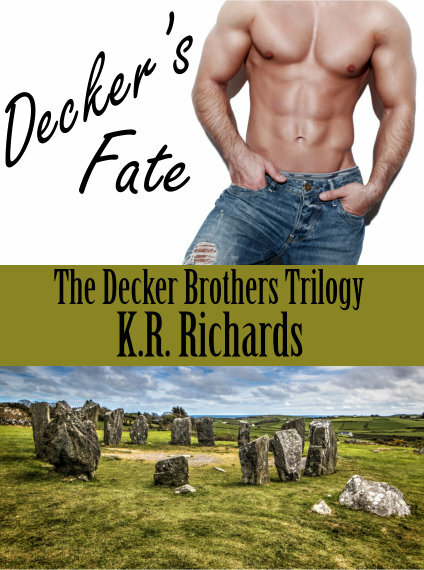 KRR: There are two more books left in The Decker Brothers Trilogy. I'm currently writing Liam's Spell. I'm about to release Book 1 of the Quest for the Shroud historical series, Sinners Take All. 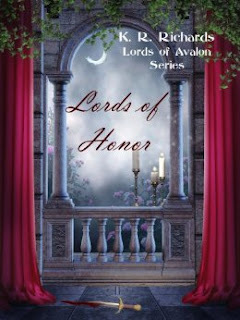 The Quest for the Shroud series includes some of the unmarried Avalon Society members from the Lords of Avalon series on their new adventure in Scotland. 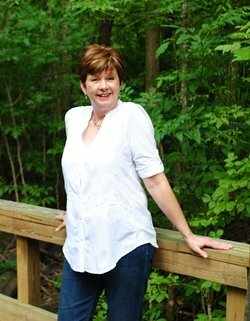 I have a two small town Contemporary Romances, set in Mississippi, in the works, along with several Historical series I've planned out. One is about a group of female mediums in Victorian England, the other about a trio of Cornish rakes, and another is about a family by the name of Darke who lives in Penzance, Cornwall. FU: It's obvious from your bio what inspires your writing as an adult. How did the jump from non-fiction to fiction come about? MS: It was partly because I realised not everyone reads non-fiction and I hoped to attract different readers. 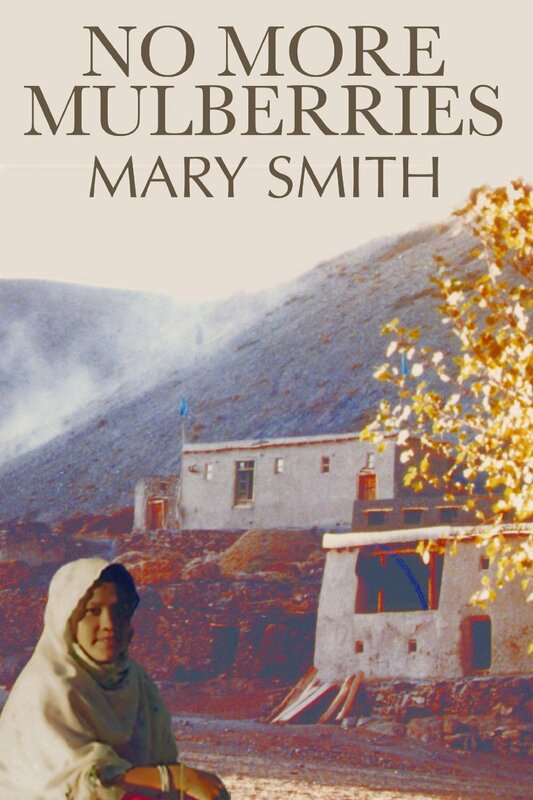 I was playing a ‘what if?’ game – what if a Scotswoman was married to an Afghan and they lived in Afghanistan? What problems might they face? What, if anything, could they do to resolve them? 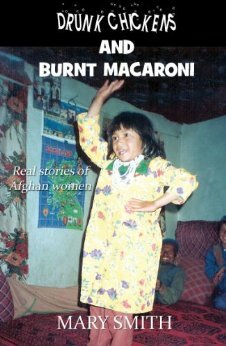 I wanted to explore those issues in a novel and also use it as a way of letting readers learn more about ordinary, everyday life in Afghanistan. FU: How did you go from working for a UK charity to living and working in Afghanistan and Pakistan? MS: While I was working for Oxfam I went on holiday to Pakistan. I have to say Pakistan wasn’t a destination on my places to visit list but the opportunity came up when a friend’s wife and sister were going home to Karachi to visit family and invited me along. I fell in love with Karachi the night we arrived – sitting in the compound in the dark because there was a power cut and seeing the sky ablaze with stars and the genuine warmth of the people welcoming a total stranger to their home. While I was there I visited a leprosy project which Oxfam helped to support. I spent three days seeing all aspects of the work from the hospital to the outreach social and income generating projects and I was totally bowled over by all I saw. I was asked to take on the job of setting up their health education department. I loved my job with Oxfam and it wasn’t an easy decision but I knew if I turned it down I’d always regret it and wonder what I would have missed. I signed a contract for three years – though it was ten years before I returned home. FU: You've written several books. Which is your favourite and why? MS: Tough question! I’m very fond of Drunk Chickens and Burn Macaroni (the memoir) because writing it meant I could remember all the amazing times I had and the wonderful women who became my friends – and I know from readers they enjoy feeling they have really met these women and their families. However, the novel, No More Mulberries is probably my favourite because I think as well as providing an insight to life in Afghanistan it gave me the chance to tell a good story. And, actually, people ask me what Miriam and Iqbal are doing now so they must feel as real as the people in the memoir. FU: So what kind of stories did you as a little girl write on wallpaper trimmings? MS: I think I probably plagiarised Enid Blyton! She was my favourite author for many years. I’m constantly meeting other writers whose love of books stemmed from reading Blyton as children. My stories were about secret gangs meeting in dens. And the mother in them would always supply endless buns and lemonade. And I vaguely remember one about a poor orphan girl who had to make her way in the world. FU: They say that every fictional character has some of the author in him/her. Which of your characters is most like you? In what way? MS: I’d love to be more like Miriam. I think there are some elements of me in her – the urge to travel, to work abroad – but she is a far nicer person than I am – much more tolerant. I’m definitely not like Dr Jeannine who epitomises the worst kind of foreigner who thinks they know best in everything and don’t bother to understand anything of the culture. She is based on a person I met and I rather enjoyed writing her character. MS: I have several projects on the go at the moment, including a second local history book, Castle Douglas Through Time, which will be published next spring. I’ve also started to turn my blog My Dad is a Goldfish, about caring for my father through his dementia, into a book. I’d hoped to have it released before the end of this year but I think spring 2017 might be more realistic. And then the follow up to let people know what Miriam and Iqbal are doing now. I started it but am letting it rest for the moment since a new character popped up and seems to be demanding that it’s her story – so maybe it will be. FU: There are so many different genres to choose from, what inspired you to write faith-based romance? AMB: I believe that genre “beckoned” to me. I am a Christian and I enjoy reading romantic stories so it was a natural fit. 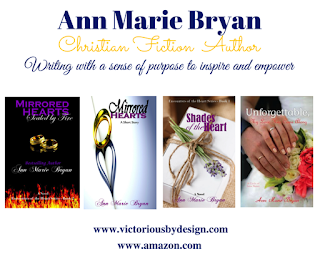 My inspiration to write comes from God, my family, friends, readers and fellow authors. I desire to tell great stories with fascinating characters to show the awesome power of God in the lives of people and places. FU: Can you tell us a little bit more about your company, Victorious by Design? AMB: Victorious By Design embodies all that I enjoy doing. We deliver top quality professional writing services, comprehensive personal and professional development programs and exceptional performing arts (dance) services to meet the unique needs of individuals and organizations. We are dedicated to providing innovative and comprehensive educational products and services to inspire, foster and promote continuous development and growth in individuals and organizations. FU: How do you manage to juggle running it with your writing? AMB: Thanks for asking this very important question. Truthfully, there is no easy answer to this question. For sure, we make time for the things we want to do and the things we love to do. The short answer is that I have a great, small team that helps and a very supportive family. I schedule all my activities as best as I can. This includes my writing time. At this time, I am scheduled to write one book per year and there is a timeline for that. I must have my next book ready for the first round of editing by early fall if I am to make my release day which is usually sometime in February/March. 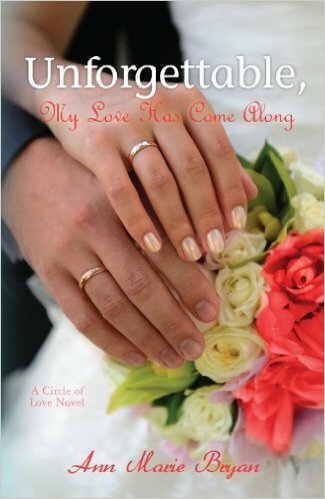 AMB: I am most like Annalisa in “Unforgettable, My Love Has Come Along.” As I previously indicated, this novel was based in part on my personal experiences as I embarked on the journey from singleness to my amazing wedding day. I drew on some of my experiences, encounters, feelings, insights and interactions to give this fictional story life. AMB: I am excited about my writing journey, and I am thankful for the opportunity to share with others. 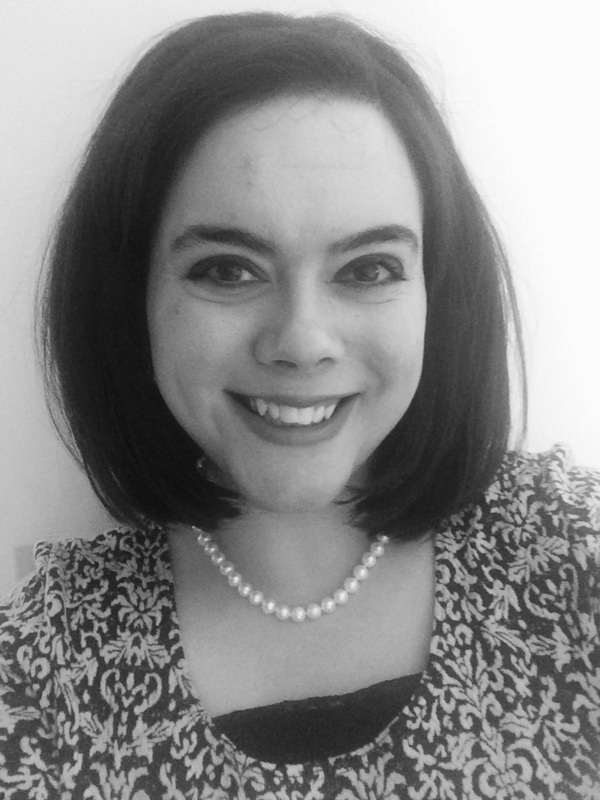 I believe in working together, the exchanging of ideas and sharing of resources, so I hope that my writing adventures take me all over the world to share at conferences, seminars and workshops. 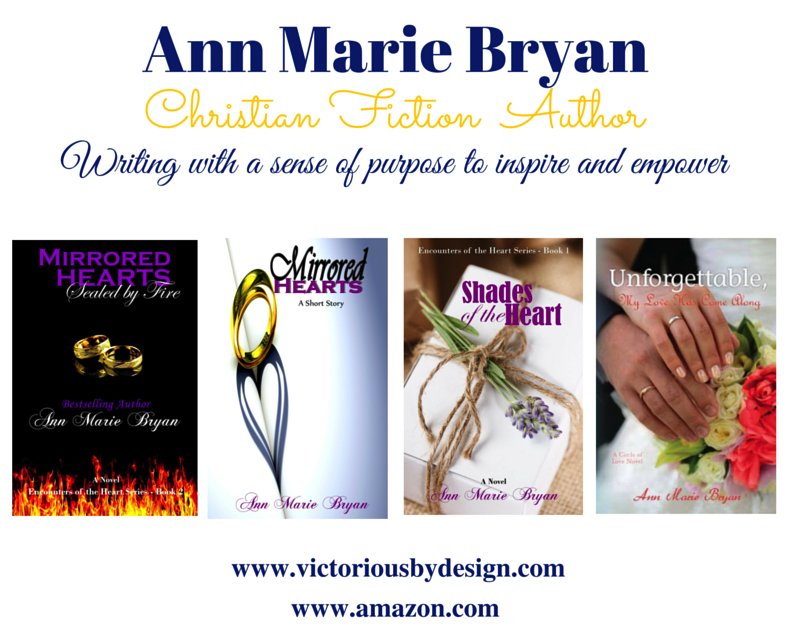 Currently, I am writing the 3rd book in my “Encounters of the Heart” series. This novel will detail the story of Chandler Peynard. It will be released in early 2017. FU: Thank you so much for talking to us. Any parting thoughts? 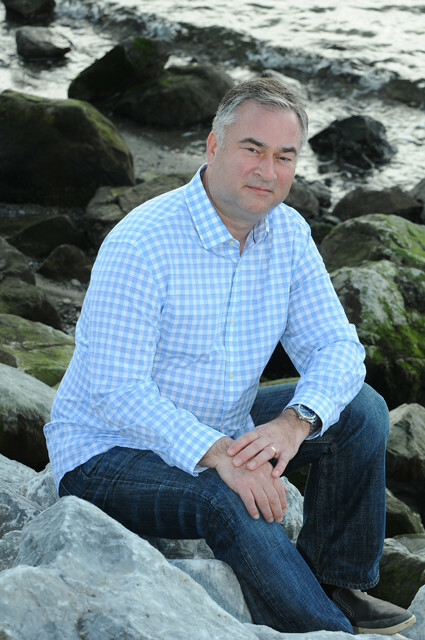 The team at Flurries Unlimited (FU) was fortunate enough to grab a quick chat with author C.A. King (CAK) about her life as a writer. This is what we talked about. FU: There are so many different genres to choose from, what inspired you to write a fantasy series? CAK: Finding something that makes me happy. In that regard, everything and nothing inspires me. I have a bad day and close my eyes. I can travel to a world where things are just a little brighter and get lost there for a while. I want to share that with my readers. When they need to forget about the present even for a few minutes, I want them to be able to grab one of my books and smile again. FU: Losing those who are close to you is a serious blow. How would you say this experience influenced your writing? CAK: I am an avid day-dreamer. Closing my eyes one day, this world evolved in my mind. I saw the characters, how they moved, how they interacted. Each one came to life. It was a world I wanted to run away to. A place I wished I could live in. FU: What did you do with yourself during your long hiatus? CAK: At first I cared in home for family members with cancer. After they passed, I went through depression. I still suffer to this day, but have learnt to cope with medical assistance and my writing. 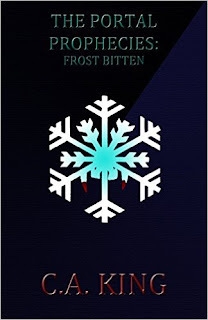 CAK: Frost Bitten is my favourite. I love putting a different twist on things and the holiday season gave me the perfect opportunity to do that. I find it interesting how different groups decide which is their favourite book. Book Five holds the highest surprise factor. CAK: Since I daydreamed myself into the world, none of the characters are like me. CAK: This fall the sixth book in my series comes out. That is the final book. You can expect a spin off series, but the main plot of this series comes to an end. I have been asked for a cookies and treats cook book, which some of my characters may help out with. I am hoping it will be ready before December. I have two brand new series underway. 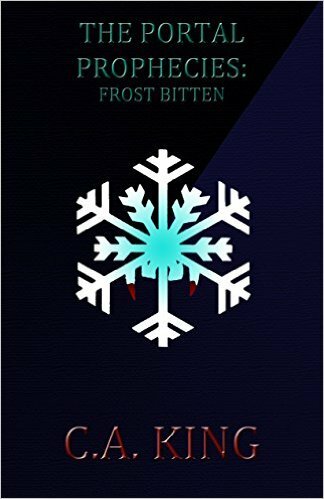 The first, Tomoiya’s Story, is an alien/vampire tale. The second Mer-Alliance, is you guessed it, mermaids. Both looking at 2017 dates. I also have a blog of interviews which will continue and I am writing a weekly column for Books & Quills Magazine. FU: So what is the story behind the bit in your bio about world's greatest apple muffins that don't crumble? EC: Oh boy! Well, let's just say I have a history of bad cooking. Cookies ended up as cake, pizza defied gravity in the oven, and I somehow managed to make steamed broccoli taste like it was soaked in vinegar. Needless to say that didn't go over very well with my or my family's stomachs, so I set out in learning how to cook. It took a decade...maybe a little more...but I eventually started getting better, and one of the first things I could make (that didn't burn) was my apple muffins! They're pretty tasty, but they still come out a little crumbly sometimes. I'm working on fixing that. FU: With all the different genres to choose from, what inspired you to write romance and then jump to middle grade adventure? 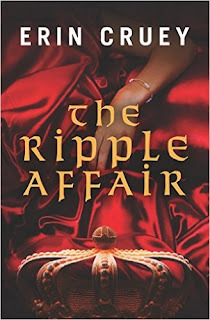 EC: The Ripple Affair was the first story I ever wrote, and it became a romance by accident. I was never a romance reader or writer, and as I was putting the story together, I noticed that the relationship between Edward and Antoinette seemed to take center stage, and it really took off after adding Emmerich and making it a love triangle. I found that romance was a fun genre to write in after all, and even though I was unfamiliar with it, I thought it would be a fun challenge to stretch my comfort zone and write a story in a genre I never wrote in before. 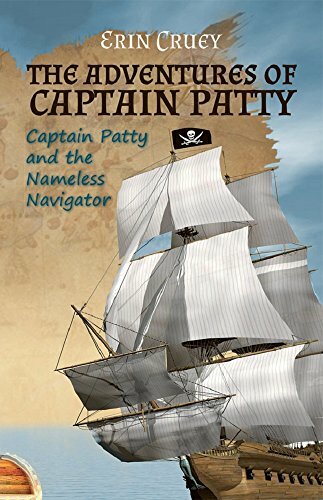 That being said, adventure stories are my true passion, and so jumping to middle grade books with The Adventures of Captain Patty is me celebrating my roots. 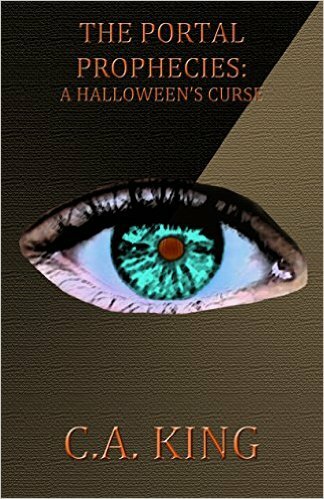 I'm a huge fan of stories that twist and turn and are full of excitement, and I wanted to write tales that reflected that. EC: That's a tough one, because I love all my books. 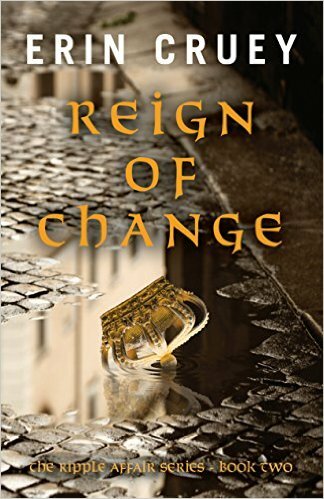 If I had to choose between them, though, I'd say "Reign of Change". There's a lot that goes on in that story, and some of my favorite scenes of anything I've written are in there. I love that the character of Edward really starts to grow in this story, and you see his greatest transformation. He turns away from his past and moves forward to the future, finding his faith and forgiveness in a simple church sanctuary. 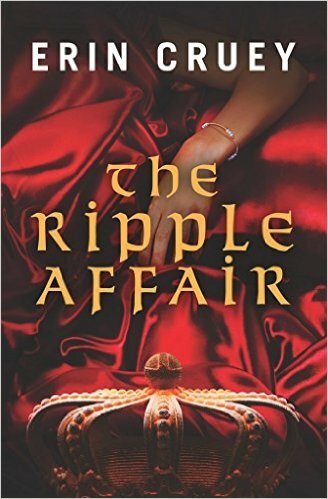 EC: I created a fun personality quiz entitled "Which Character from 'The Ripple Affair' are you?" I get Emmerich every time I take it, so I guess that means I'm an emotional science geek who is in love with someone I can't have. (That may or may not be accurate, ha!) Really, though, I identify with Bernie a lot. She's feisty, intellectual, funny, and is very loyal to the people she loves, and those are traits I see in myself. Also, I'm a woman who has alopecia areata, and my struggle with hair loss and having to wear wigs, etc., was something I wanted to share through Bernie. We don't always see characters who have that, nor do we see the heartache and strength that can come about with it because it is so rarely talked about, and Bernie is a character that I hope can become an inspiration to others- male or female- who struggle with hair loss. 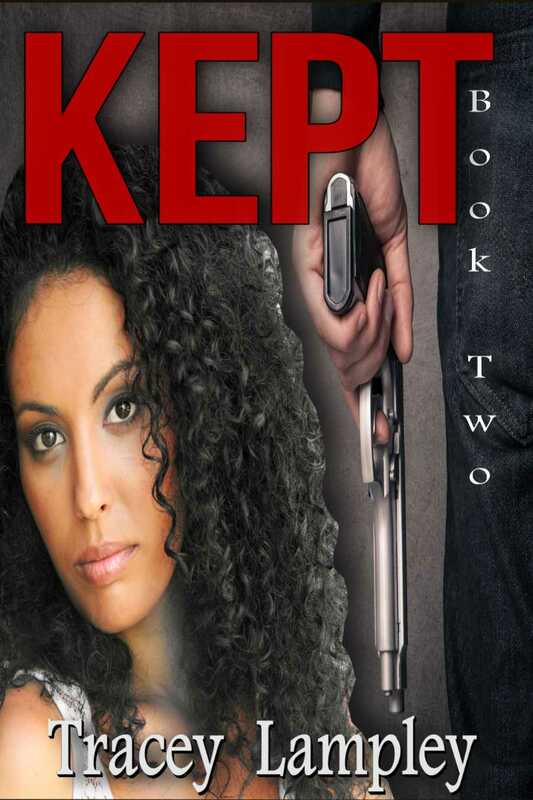 EC: Book Four of "The Ripple Affair" Series will be the first new release coming out during the summer. It will be entitled "Heart of Deceit" and will have everyone's favorite sassy princess, Bernie, taking the lead. A lot happens in this book, not only with Bernie but with Edward as well, so I think it's going to be a mix of comedy, drama, and adventure that will make it an exciting read. There also may be a new romance starting up! As for The Adventures of Captain Patty Series, my readers will be happy to know that the sequel is also coming out during the summer! It will be entitled "Captain Patty and the Boston Buccaneer", and I have to say that this one is my favorite. I won't spoil it for you, but let's just say the adventure gets a bit more serious as we find out just who Bateau really is and how that can mean trouble for Captain Patty and her crew. There's still plenty of comedy, though, and with the story being told through Reuben's point of view, you know it's going to be a treat! FU: There are so many different genres to choose from, what inspired you to write post-apocalyptic fiction? MC: In short, I just watched the news and imagined it 100 times worse. But really, there's been so much political turmoil in Israel in the past 5 years, and with everything that happened with ISIS. I felt like I had to digest all these experiences in the only way I know how - writing. There's not much else you can do as a single individual VS the world's politics. At the time, I was fascinated by the fact that while ISIS and Israel-Hamas fights are being covered by news outlets all over the news, the actually issue that can destroy modern society, the climate change, isn't getting covered as much if any. The reason, in my view, is that the climate change has no foreign accent and a beard. You can't report an enemy without a face and make it effective. I do feel that while terrorism is a major immediate concern, a climate crisis can be 100 times more devastating on a global scale. 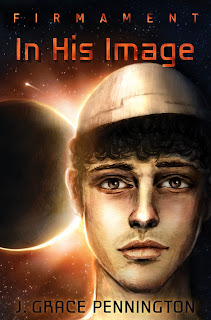 So I took those themes together, the immediate and the long term threats and combined them in one story that takes place in future Israel long after the climate crisis has stricken and society collapsed. There's no single apocalyptic event, just a series of wrong decisions and ignorance that lead to humanity destroying itself. I believe that my plot is more plausible that way. 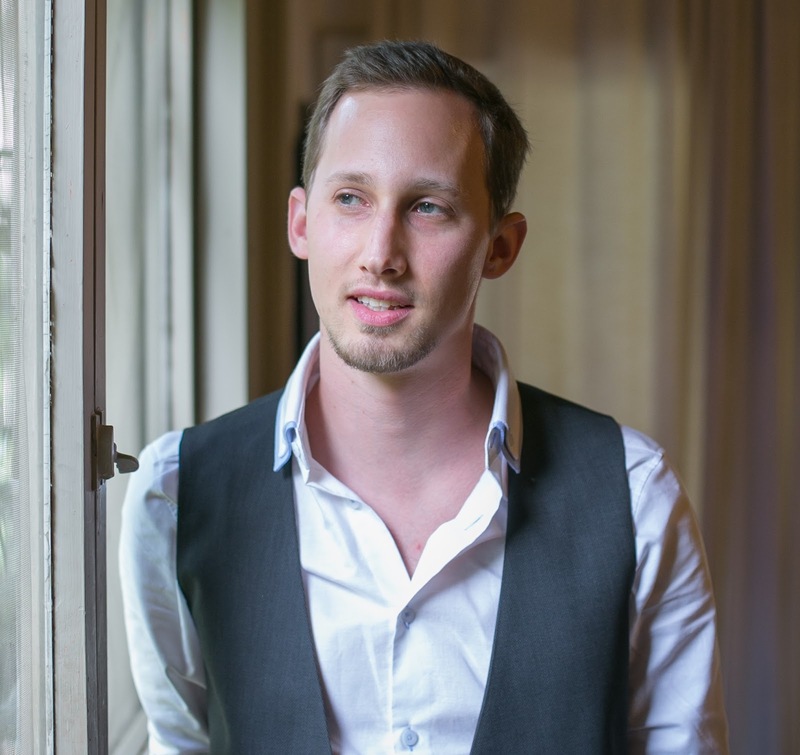 FU: Being a former soldier in Israel must have given you a unique perspective on life. In what ways do you think this affects your writing? MC: I can't say exactly how it affected my life in that manner because that would be an amazing self-psychoanalysis that would liberate me from a lot of other bad character trait I have, but...I can say this - Enlisting at 18 is mandatory for all Israeli men and it does brings about adulthood pretty fast. You turn from a nice little teenager to a soldier and this gives you self control, discipline and a more mature and balanced perspective on life. It's not all fun an games, there's a price to pay. Especially in Israel. And it gets you thinking about what's important in life and what are your dreams. (You have to put them aside for 3 years) I didn't want to be a full on combat soldier and luckily I was drafted to the Navy. In the Navy I learned a lot of people and leadership skills, and I realized that I want to give back to the world somehow. It was there on a missile ship's mast that I realize that I don't want to be an engineer or a therapist (two of my options). I wanted to become a screenwriter. First, I realized that no matter what I'll create as an engineer, some one could exploit it and use it against humanity or just sell it for the masses with no actual benefit. Secondly, I couldn't treat all the people in the world as a therapist. But as a writer I could reach so many people and try to affect them with stories. I know it sounds pretentious and naive but I could see the destruction and narrow-mindedness of people and I didn't want to contribute to that. Long story short, I gave up trying to be a screenwriter 3 years ago and started writing short stories in order to prove myself I can write a novel. And now, 2 years after I started, my debut novel is out there. FU: Given the indie publishing market is largely US-centric, how do you adapt to that bias as an Israeli author? Do you notice a difference in the feedback you get from US readers as opposed to Israeli readers? MC: Not at all, I actually think it will be in my favor. I'm not trying to Americanize or universalize my story. I do it differently in my own style and that can be a great differentiation from US born writers. Many of the world's best authors kept their stories close to home and at the same time told stories that reached millions. Milan Kundera (my favorite) Roman Gary, Haruki Murakami, Gabriel García Márquez and so on. I do agree that marketing could get harder while living outside the US but that's what the internet is for. 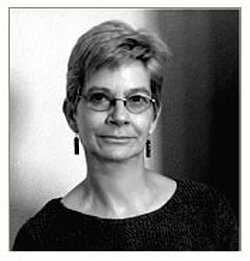 I trust the adult readers' curiosity to lead them to my novel and realize its uniqueness. MC: Usually I see myself as the main character. Which is Roy in this case, but of course my alter egos and silenced opinions fill other characters' mouths. Like Roy, I've participated in the second Israel-Lebanon war, but unlike him, I was a Navy soldier. Witnessing the political events in Israel I asked my self why the majority of the sane and educated didn't fight to change the political situation. At least half of the nation knew were heading a dead end but their lives were too comfortable to give up instead of protesting and causing mayhem. That's Including me of course. So I asked my self what would make me actually fight for a cause. I saw how the world is doing almost nothing to stop ISIS, how the climate change is left unattended, how economies collapse one after the other. And while everyone knows the world is going south no one is actually doing anything to change the course. So I had to imagine a world where things slowly crumbled out of neglecting, fear and ignorance and let my main character find it's way to win a war he cannot escape. Trust me, after he already died once, it was hard to find a cause strong enough to make him want to fight again, In my novel Roy is faced with the same situation, having to choose between the predictable comfortable life against being a militant again. He needs to choose if he sees the shelter city as a prison or a haven. I had to find the precise motivation for him, the same thing I'm still looking for in me. 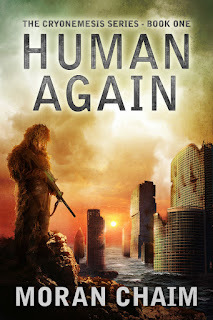 MC: The second book of the Cryonemesis series is called Better Human. It's going to be a direct continuation of the first book. I'm currently working on it and I hope to release it sooner than later. FU: Thank you so much for taking the time to talk to us. FU: There are so many different genres to choose from, what inspired you to write romantic suspense? TL: .Romantic Suspense intrigues me. In fact, women-in-jeopardy novels have dominated my interests because I like seeing how the woman helps herself out of the dangerous situations. FU: According to your Amazon bio, you wrote your first book at the age of five. That's pretty enterprising for such a young one, especially since it made a profit. What was it about? What did you write next? TL: Yes, I did self-publish at the age of 5, and it was a rewarding experience. The book was about Jane, a six-year-old girl who saves her family from a house fire. My next book was also about Jane and her shyness. She was afraid to graduate from kindergarten because she didn’t want to speak in front of a bunch of strangers. FU: You've published two Kate Mercer books so far. Which is your favourite and why? FU: They say that every character has some of the author in him/her. How much of Kate is in you? In what way? TL: A lot of Kate is in me because I—like Kate—root for the underdog, hate injustice and strive to be a very strong woman without losing my vulnerability. Have I ever been a mistress? Not quite. I cannot find myself in a dependent position on any man financially. 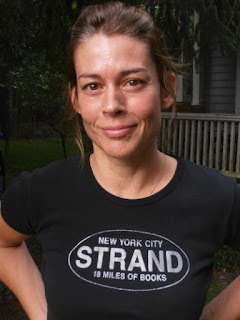 on developing my audience by gathering new readers in a different genre—self-help. In 2009 I filed a workplace violation against two former employers with the state of Ohio being one of them and a prominent hospital organization being another. Both employers conspired and worked as a tag team to oust me from a position as well as to paint me as crazy. It almost worked! Now, I intend to blog a whole book on the subject tentatively titled: How to Deal with my Ordeal after Filing an EEOC Complaint.